Or what appears to be the ASUS ZenFone 6Z, based on the naming convention of last year’s ZenFone 5 series. To jog your memory, the 2018 lineup’s top-shelf device is the 5Z. An ASUS smartphone with model number ASUS_I01WD has popped up on benchmark site Antutu. The listing reveals it’s powered by a Qualcomm Snapdragon 855 processor, hence the belief that it’s the Taiwanese manufacturer’s upcoming flagship. The high score of 363,172 is consistent with those of 855 phones that have already been launched, such as the Xiaomi Mi 9. Other details shown include the software of choice — Android 9.0 Pie; the 2,340 x 1080-pixel resolution of the screen; and the memory configuration of 6GB of RAM and 128GB of storage, which could still be joined by other options. Antutu says the biggest highlight of the phone is its 48-megapixel camera, and it’s most likely the Sony IMX586, the same sensor used by the Honor View 20 and Redmi Note 7 Pro. 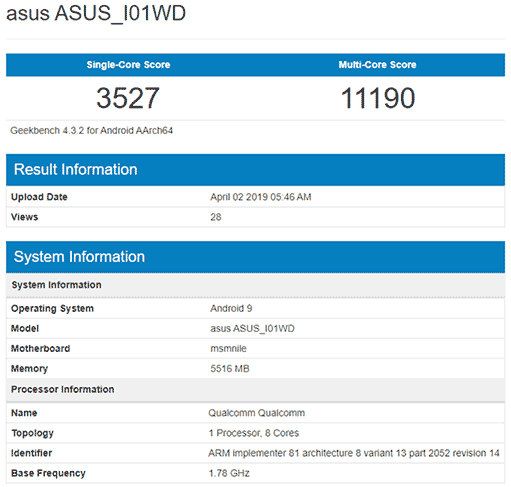 Yesterday, the alleged ASUS ZenFone 6Z also appeared on another benchmark site, Geekbench. It notched 3,527 in the single-core test and 11,190 in the multi-core one. Design-wise, if there’s one smartphone that we’re not quite sure how it would end up looking, it’s this. There were three prototypes that leaked out last year. 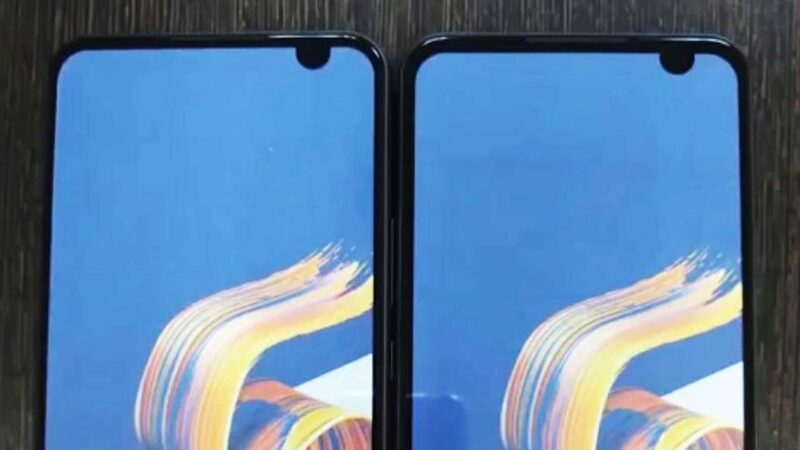 The first has an in-screen camera, meaning the unit has a punch-hole display, just like the Huawei Nova 4 and Samsung Galaxy A8s. The second features a waterdrop-style notch. And the third places a small notch on the upper right side of the screen. You can see all their pictures here. Which design will we end up getting? We’ll know soon enough, as the ASUS ZenFone 6 series launch is slated for May 14.